I haven’t been much active lately, here or on social media. This has been interpreted by some that i got fed up by the project somehow. It would seems there is a large commercial operation in the works, originating somewhere in Germany. Maybe waiting for me to pass the ball. 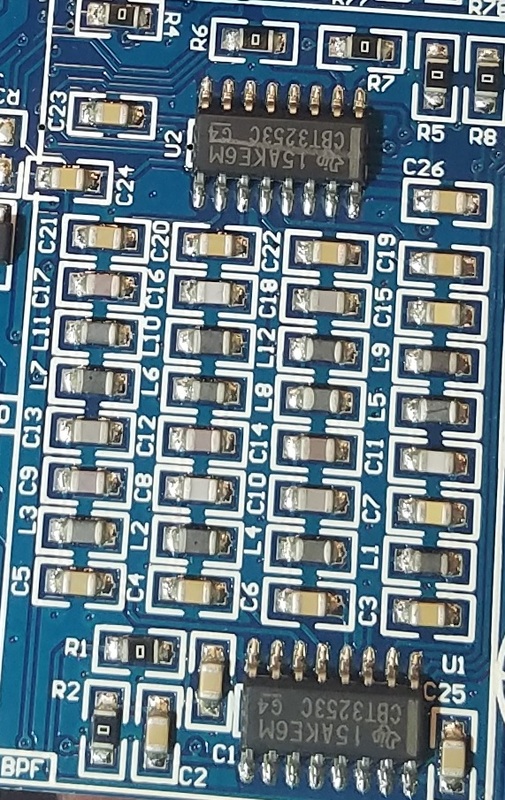 So, a fellow ham was nice enough to send me some pictures of the Chinese (not the German) clone and as it would look the same as the long time discontinued 0.4 revision of the mcHF, it is not exactly the same. Deep analysis of the project would reveal that with such simplified design, the devil is in the detail and a small thing like misspelling the word ‘driver’ is nothing to be worried about, well, one should think what else has been rushed in. 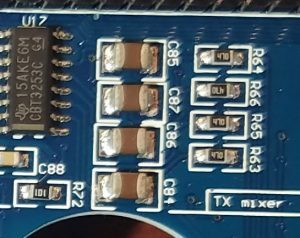 One thing that is extremely important is off course are the sampling capacitors in the detector and exciter. There is a reason for using the best and most expensive ones. So getting a 2000 pcs reel that cost as much as one of the proper caps i list in my BOM is a big no-no. While at it, why not modify at random the PA bias circuit as well. What could go wrong there ? 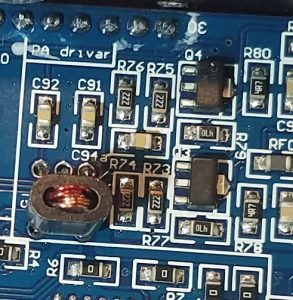 So yeah, if you making an RF circuit, if all possible, use multi-layer inductors – good result guaranteed. Anyway, why do i care about all this – well, apparently i suppose to give support for the clones as well. And usually i don’t do investigations when a colleague e-mails me for help. So yes, it is bit frustrating. I hope this was informative enough, and i am still actively working on the project. The good news is that my wife (Lucy) has joined me and from now on i will have more time to dedicate on the actual development, instead of Admin tasks. This entry was posted in Uncategorized on September 30, 2017 by m0nka. As i had many of the same question, but it is not possible to reply to each one of them – i am not sure when i will have the Full Kit back in stock. 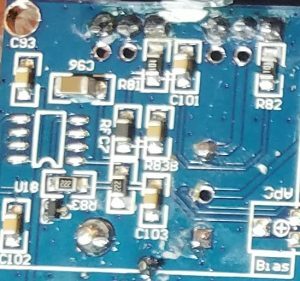 But right now i have few pieces RF boards with SMD parts done by the factory, also some Components Kits. Please check it out on the Order page if interested. I will try to make sure i have regular stock of the Components Kits, although not in huge quantity, until i got the Full Kits back. Thanks everyone for your patience and support of the project! This entry was posted in Uncategorized on September 5, 2017 by m0nka.